The WordPress.com stats helper buzzards prepared a 2012 annual report for this blog. It is memorable in so many ways. My sincerest wish for everyone’s safe travel to be with their loved one’s on Christmas Day. I’m watching the 12-12-12 benefit concert; Roger Daltry of The Who looks to be about 100 years old. But the music still rocks – without a doubt. Over a half million family farms threatened by Obama’s new death tax. Large “Ball of Light” crashes in Sweden. More on the mystery orb: UFO recovery team dispatched. Obama plans direct talks with Iran. Next 9-11: Iranian death squads are here. Got any good linkage? Post ’em in the comments section…. The polar shift theory encompasses everything we’ve ever considered to be a disaster — all rolled into one mega disaster, as predicted by the Mayans. Earthquakes, floods, volcanoes, drastic temperature changes, you name it. When north rapidly becomes south, and south rapidly becomes north, everything changes. So, there you have it. December 21, 2012, ten days left, and counting. Could the Ebola virus now be airborne? Obama at “max damage potential” right now. There is and will be much written about the redshirt freshman phenom, the first freshman to win the award. Here is an excellent article from Fox News on the young man. Having won the prestigious award and the permanent inclusion into a small club, his life is forever changed. Unknown to most just a few months ago, that has ended and the remainder of his college career will be compared to this magical season. Now the speculation begins, as to how he will conduct himself on and off the field, and if the Heisman will effect his performance in the upcoming Cotton Bowl. Considering how distracting all the attention, interviews, travel and ego stroking that occurs leading up to the bowl game, it is not surprising how often the Heisman winner is on the losing team. 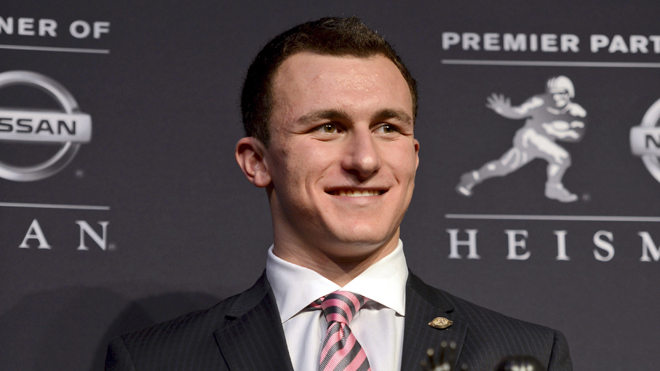 Back on Earth, it is important to note that Manziel is, when all is said and done, a twenty year old human. He has had at least one scrape with the law this year, leading to an arrest. I haven’t looked into what the disposition of those charges are/were. As an OU fan, I certainly hope the Sooners take care of business and defeat the Aggies on 4 Jan 13 at Jerry’s Death Star. If the current Heisman winner parties too hardy and isn’t in peak form for the game, all the better. The kid can play.